The cast and crew of the Today show bid farewell to sports reporter Tim Gilbert in an extravagant six-minute segment on Friday. 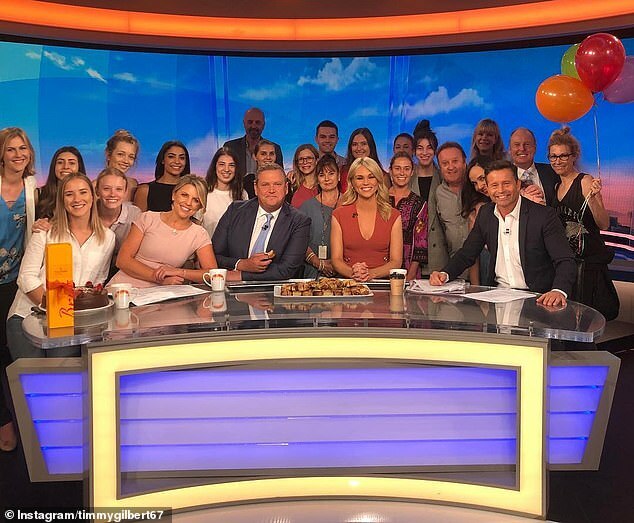 The 51-year-old, who the latest casualty to follow Steve Burling’s appointment as director of morning television at Channel Nine last month, was treated to balloons, cake and sausage rolls during his last day at the office. 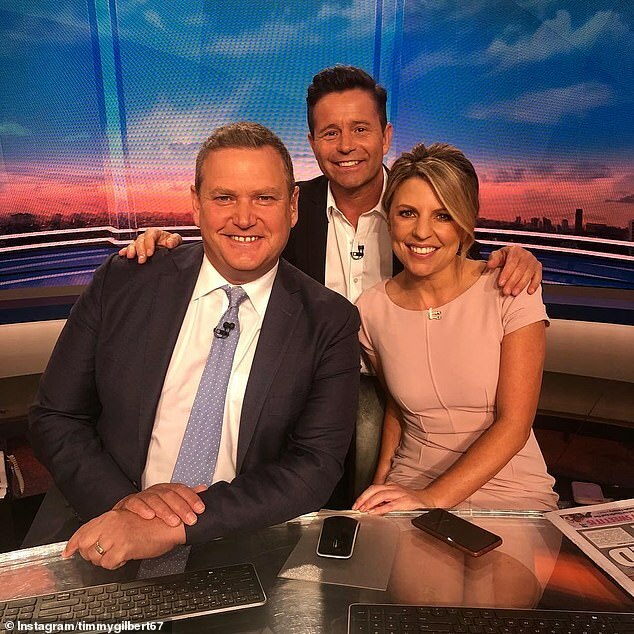 Tim’s flamboyant departure from the program was in stark contrast to the much quieter send-off that Karl Stefanovic received after he was sacked on December 19. 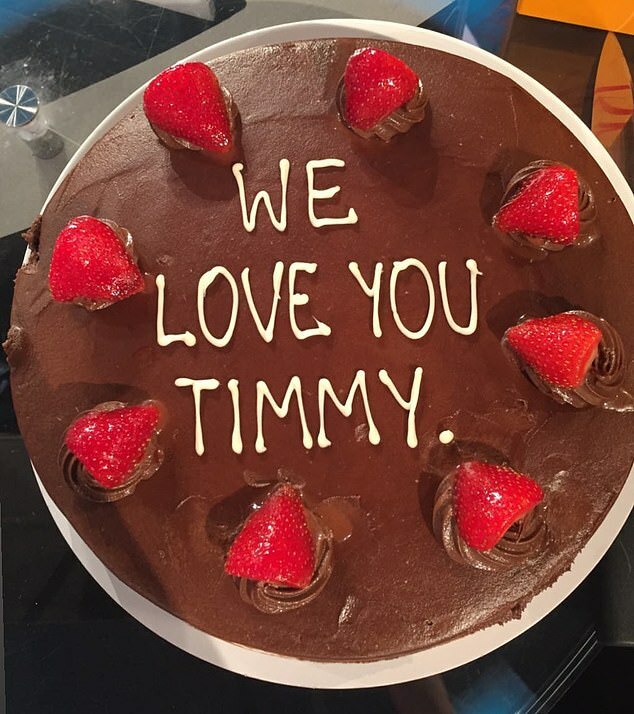 ‘You are absolutely loved by everyone here!’ said weatherman Steve Jacobs, after a video montage of Tim’s most memorable moments aired shortly before 9am. 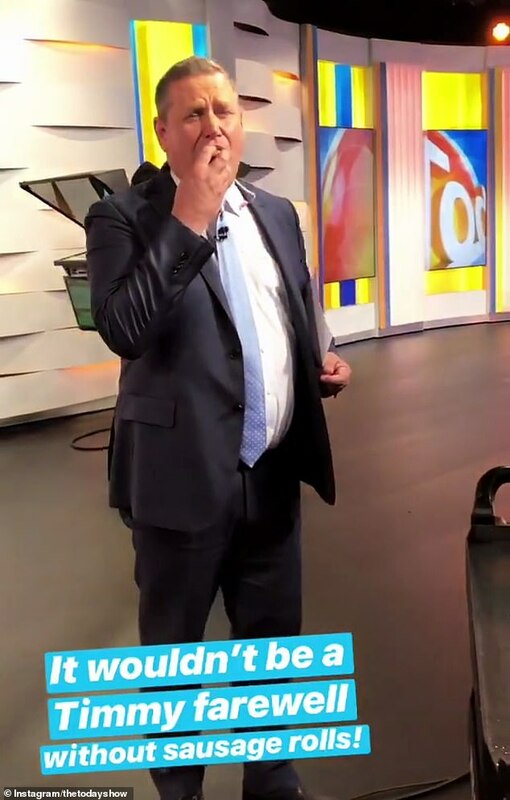 Tim was then presented with balloons and cake, before it was revealed the program’s floor director had personally baked pies and sausage rolls for the occasion. Later, behind-the-scenes staff descended upon Tim’s desk as he thanked viewers for their support over the past five years. Co-host Lara Vella looked particularly distraught, fighting back tears as Tim continued his farewell speech. The veteran journalist choked up as he thanked his late mother, Luerice, who died just four months ago. He said: ‘It’s quite appropriate I’m leaving the Today show now, because [my mother] used to be my number one fan, and she used to say, “You looked fantastic”. Tim’s farewell segment concluded with a rapturous round of applause, and stretched on until well after 9am. 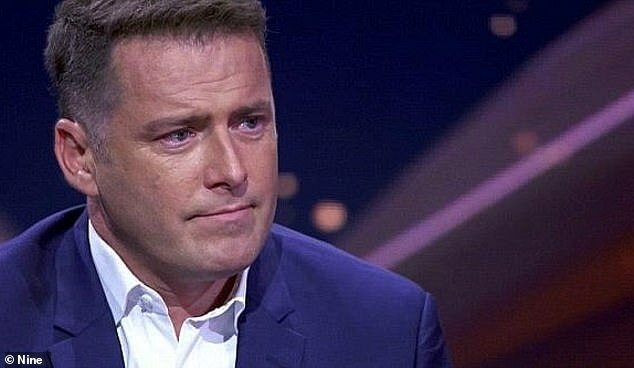 In contrast, Karl Stefanovic’s on-air farewell last month lasted just two minutes and aired at 5:45am, when the show would’ve had a relatively small audience. Karl was sensationally axed from Today on December 19, after 14 years in the hosting chair. 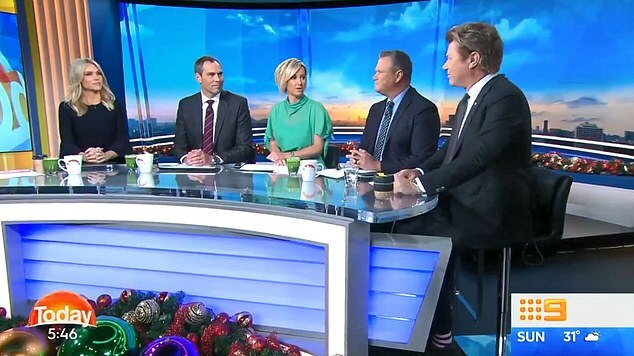 The day after his sacking, Richard Wilkins gave a short speech while the other anchors – Deborah Knight, Brenton Ragless and Lara Vella – appeared noticeably unmoved. Richard’s farewell sounded more like a corporate-approved statement than a speech delivered from the heart, however. ‘Karl and the management team here at Channel Nine have agreed that it’s time for him to step down as host of the Today show,’ he said. ‘Karl Stefanovic has been a co-host of this great show for 14 years. And I’ve had the honour and pleasure – and pressure sometimes – of working alongside him almost every day over that time’. Channel Nine has shaken up its Today show line-up in recent weeks, with Sylvia Jeffreys also departing the program last month. New recruits Deborah Knight, Tom Steinfort and Brooke Boney are set to start alongside Georgie Gardner next Monday.